1. Double frequency converters controlled. The bag length is cut once being set up within one step, which can save time as well as film. 2. HMI. The parameters setting is convenient and rapid. 3. Failure self diagnosis function which may display failures extremely clearly. 4. 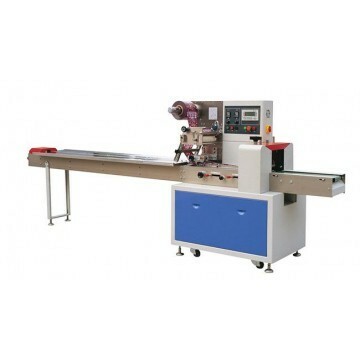 High-sensitivity photocell eye color code tracking, digital input sealing and cutting position to make the sealing and cutting position more accurate. 5. Independent PID temperature control. It is more suitable for various packaging materials. 6. Positioned stop function, no knife sticking nor film wasting. 7. The transmission system is simple. The running is more reliable and the maintenance is more convenient. 8. All controls will be realized by software which facilitates function adjustment and technology upgrading to keep never lagging behind. 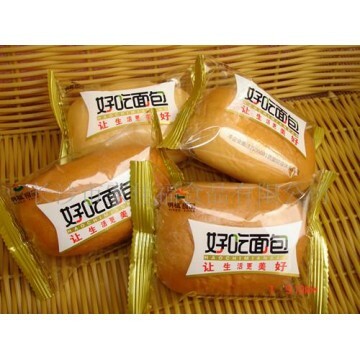 It is applicable to regular objects packaging, such as biscuits, rice krispies treats, snow cakes, egg yolk pies, chocolates, bread, instant noodles, moon cakes, medicine, daily necessities, industrial parts, cartons or pallets etc.